A form of mental torture not appreciated enough is kids forcing moms and dads to watch their favorite shows over and over again. Barbie, Dora, Diego, Tom & Jerry, Ben 10, Cinderella, Superman, Spiderman – you name it. 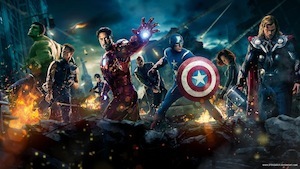 In my case, its my 6 year old and The Avengers. I have even lost the view count. And I don’t even really like it. But repetition is effective. Redundancy works. Forced slavery leaves its marks. It lets you view things differently and abstractly. Once I resigned myself to my misery, I tried to eek something out of it. Nothing is perfect. That is why pencils have erasers, software has Undo and Tennis now has the Player Challenge System. However, there are many things which are near-perfect. 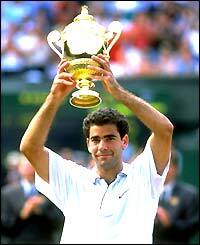 For example Pete Sampras as a tennis player. Sampras was considered a winning machine, stayed world number one for six consecutive years, won 14 grand slams and achieved everything that a tennis player can dream of. Heck, he even beat Roger Federer, the then world number one, in an exhibition match 5 years after he retired. He had every shot in the book, excelled on all surfaces and practically won every tournament worth winning. But Sampras was also considered by some as ‘boring’ and ‘mechanical’. For most of his career, he played so well that his wins seemed even effortless at times. He won tournaments without much fanfare or “heart in the mouth” moments. His general expressionless demeanor while slaying his opponents with textbook shots made him look mechanistic at times. There was no fuss about his game. The flamboyant Andre Agassi called him “more robotic than a parrot” and went on to say “I envy Pete’s dullness. I wish I could emulate his spectacular lack of inspiration, and his peculiar lack of need for inspiration”. Even Sampras’s autobiography read mechanistic (compared to that of Agassi which actually contained these comments). If you are driving to the grocery store couple of miles away from your home, your planning for the trip will be minimal compared to planning a cross-country road trip. For grocery store, a cursory look at the fuel gauge may suffice. 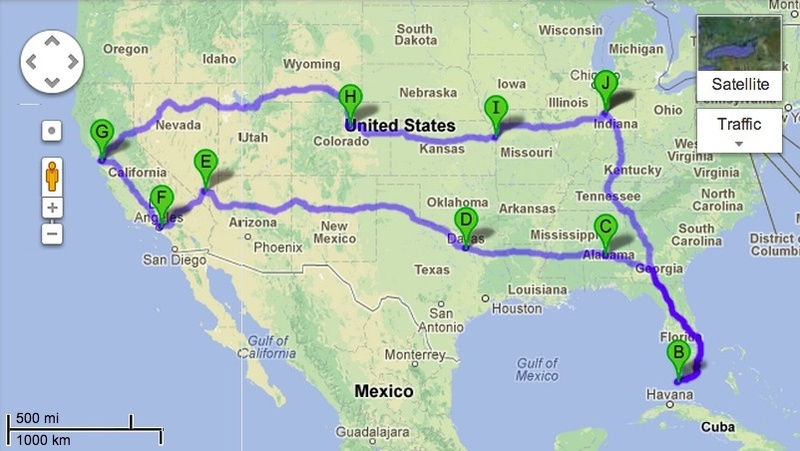 For the road trip, if you have enough resources, you need extensive planning. Money, maintenance, weather and time all become considerations. The very notion of a destination far away forces you to think and plan differently – encouraging and even forcing to be creative. Think of a startup. It is typically cash-strapped. One way forward is to grow organically. You depend on the revenues you generate. You build slowly while keeping the lights on. All investments are conservative and cautious. As you keep the liabilities to a minimum, you also limit the flexibility and freedom of action. You first ensure cash flow to sustain the monthly expenses before you think of hiring or availing that training opportunity. The alternate path is to get external financing – say from a venture capitalist. You give up some of your equity in the company and have more stakeholders to answer to. But you also get this doze of welcome cash that lets you not worry about the next payroll or rent payment. Money is not a variable anymore at-least in the short term. You have more space to be creative and think and plan big. With enough resources, you can plan a road trip rather than just be confined to visit to your local grocery store. You are encouraged – even forced – to be creative and think big. You can actually accomplish much bigger things. Remember mavens as people who are experts in a particular subject and are willing and eager to help others without any expectations of return. Well, I being an avid user of Evernote (specifically to manage my GTD way of life) I found this fascinating example of real world mavens – Evernote Ambassadors. These are passionate users of Evernote application who have volunteered to help other users to adopt or get better at using Evernote as a tool to capture, organize and archive information. All of them must be loving helping others and Evernote has done a very smart move to leverage their mavens! Thanks to the many top-notch universities opening up their learning resources online, we have access to some great stuff. One of these is Stanford’s eCorner – their entrepreneurship resource center. There is a great talk by Olivia Fox on “Building Your Personal Charisma”. What is fascinating is that she describes charisma as a set of behaviors that can be learned and executed. It’s not intrinsic, genetic or inborn as we tend to believe. This is a pivotal lesson about management and knowledge work in general – it’s a set of behaviors that can be learned and executed. Peter Drucker’s basic premise in “The Effective Executive” – probably the best management book ever – is that an executive’s job is to be effective and effectiveness can be learned. Olivia says that we tend to believe that charisma – and similar attributes like leadership – are innate because they are shaped by circumstances very early in our lives. But they are just learnt – or not learnt – early. They are not innate. They can be learnt at any stage and adopted. Anyone can be charismatic – at least to some extent. A very dear friend of mine – let’s call him Jake – is a fanatic when it comes to cars. He is an expert on cars. His knowledge and insight is brilliant. He loves cars. He gets seduced by them. He reads about them. He researches them. He gets passionate when they come up for discussion. He probably dreams about them too. He has all episodes of Top Gear recorded twice – just in case he loses one of them. Associate a car with any activity and he will be game for it, no matter how disinterested he is with the activity itself. Someone asked me if he also loves dogs too. Somehow, the guys who love cars tend to love dogs too. Well, I think he probably does – provided its a dog with a car. But there is something else about Jake that differentiates him from other car fanatics. And it is certainly not dogs. Jake is not just an expert on cars. He wants to share his expertise too. He loves to help others with their car hunt. He is always ready to go on a car inspection. He will take your car to the workshop too. He can actually hold a half-hour conversation about cars with someone whom he hates otherwise. He expects nothing – absolutely nothing – in return for sharing his car expertise. Jake is a car maven. Not a consultant. Not an advisor. Not the middle man for car sales. A car maven. A maven is an expert on a subject who has an extreme intrinsic desire to help others related to it. Jake just does not know about cars. He loves to help others about them as well. That is what differentiates him from other car experts.